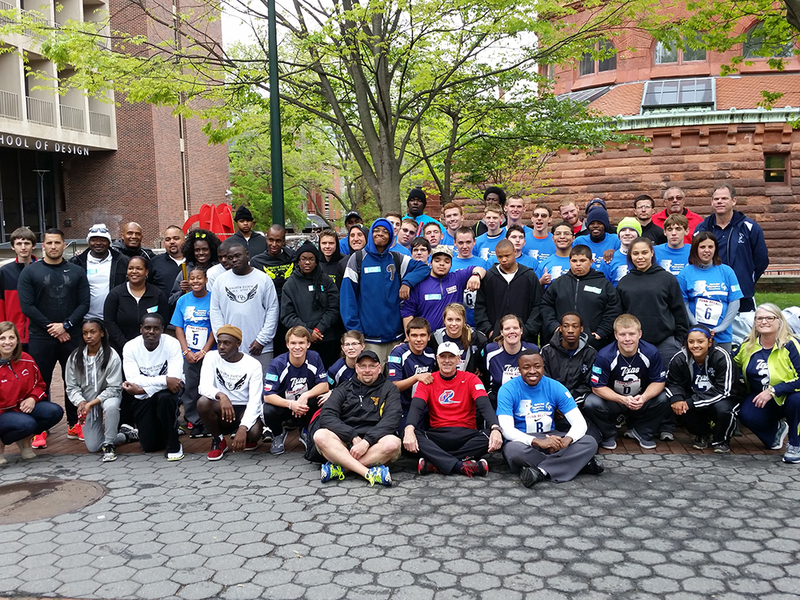 On Friday, April 29, 2016, athletes from Special Olympics Pennsylvania, New Jersey, Florida, Texas and North Carolina participated in the Penn Relays, one of the oldest, largest and most renowned track and field competitions in the United States. 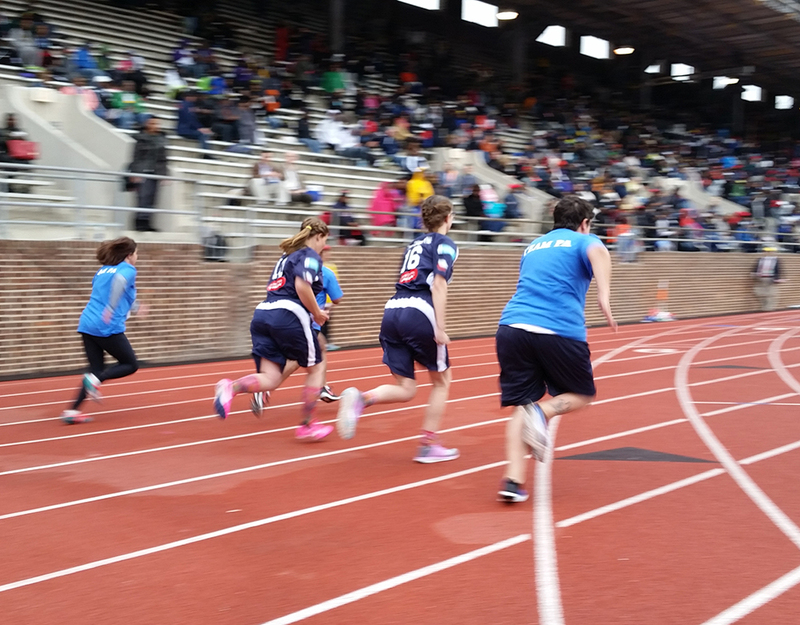 The Penn Relays are held annually at The University of Pennsylvania’s Franklin Field in Philadelphia, PA.
Pennsylvania sent a total of 19 athletes to participate. Athletes competed with three traditional 4x100 relay teams, on a unified team (those with and without intellectual disabilities) consisting of athletes from Souderton High School, and two individual female athletes qualified for the 100M run. Cheyenne Burton of Lehigh took first place in the 100M Dash, and our Souderton Unified Team took third place in the 4x100. Click here to see more Penn Relay results. 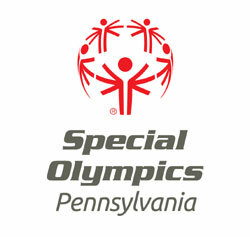 Special Olympics Pennsylvania has helped the movement to maintain Special Olympics participation at the Relays for many years. Congratulations to our Penn Relay Head of Delegation and Coach, Scott Otterbein, and to our athlete participants: Gabe Leone, Isaiah Creed Devine, Jake Lynch, John Closs, Cheyenne Burton, Michelle Eisenhower, Delina Rodriguez, Tarre Apreala, Sean Dewees, Chris Griffith, AJ Mucklow, Erik Griffith, Brandon Batres, Houston McDaniel, Harrison Bell, Matthew Schoell, Colin Cox, Alex Brauman and Karl Dickersbach. 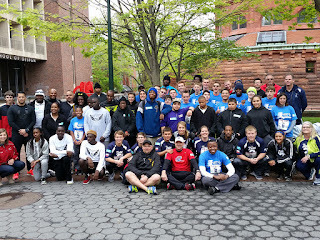 Click here to view Penn Relay photos.